This is so good. Period. I had a craving for something snickerdoodle and honestly just didn’t feel like making a mess baking anything. Enter a healthy festive protein shake – the Snickerdoodle Protein Shake. It’s my new favorite and I bet it becomes yours too! Not sure about which protein powder to use? We reviewed our favorite whey protein powder and our favorite plant-based protein powder! You’ll surely find one you love! 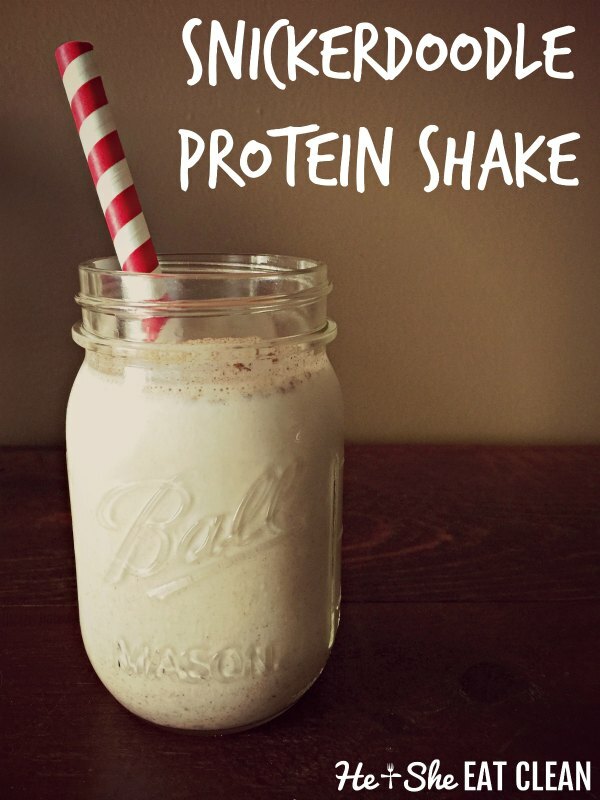 And, always add this one unexpected ingredient to your shakes! FREE Fit Festive Foods eCookbook! Don’t forget to download our FREE Fit Festive Foods eCookbook! It includes the following recipes + tips to stay on track over the holidays! Grab your copy here. Add all ingredients to a blender and mix. « Eat Clean Food Prep Inspiration! I’ve been wanting to try something new when it comes to protein shakes. I have been drinking the same shake (healthy but not super tasty) since August. I’m so glad I finally tried something new today, delicious! I can’t wait to try some others!